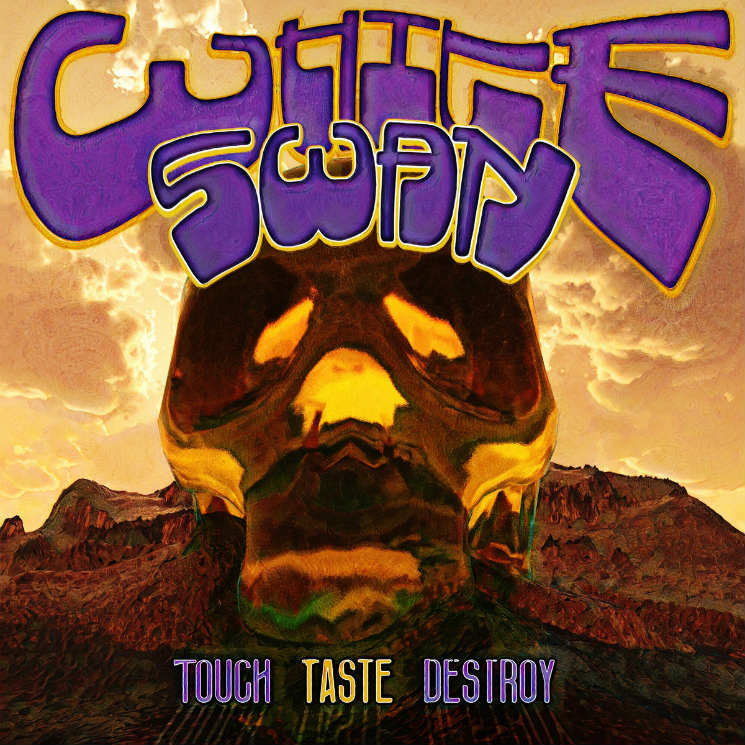 Touch Taste Destroy, the new EP from London, ON's sludgy doom trio the White Swan — led by drummer-turned-vocalist/guitarist Mercedes Lander (Kittie, the Alcohollys) —follows their two previous EPs, 2017's The White and 2016's Anubis, and it maintains the band's moody, crushing doom mixed with stunning synth-filled melodies. Although Touch Taste Destroy feels like it picks up where The White left off, it's also much more emotionally intense than the White Swan's previous material, showcasing the band's knack for captivating songwriting. The EP is comprised of three songs that surpass the five-minute mark and starts off with the title track, which features dense rhythms and dark tones, along with Lander's ethereal vocals.